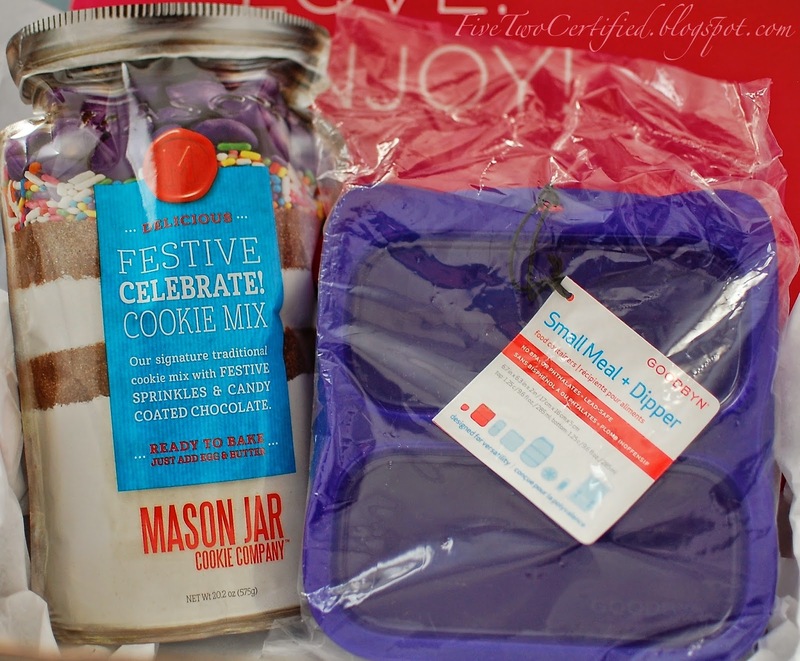 This month is POPSUGAR Must Have Box's 2-Year Anniversary! One of the items in the box is specially customized just for their anniversary, can you guess which one? So this may have been a clue that this is a celebratory box, but nope this isn't the special POPSUGAR Must Have item (just keep reading!). This made me so giddy since I have such uber sweet tooth! Surprisingly, I have not opened it and maybe wait for the cooler months and have this with some hot tea or milk! "Keeping track of meal portions in a portable way...Dishwasher safe and versatile, this set is ideal for packing food on the go." Love the color of this container! I haven't used this one either, but this would be great for picnics at the park or packing a snack for the beach! This is a hand-poured soy-wax candle with fragrance notes of sea salt and the ocean tide. 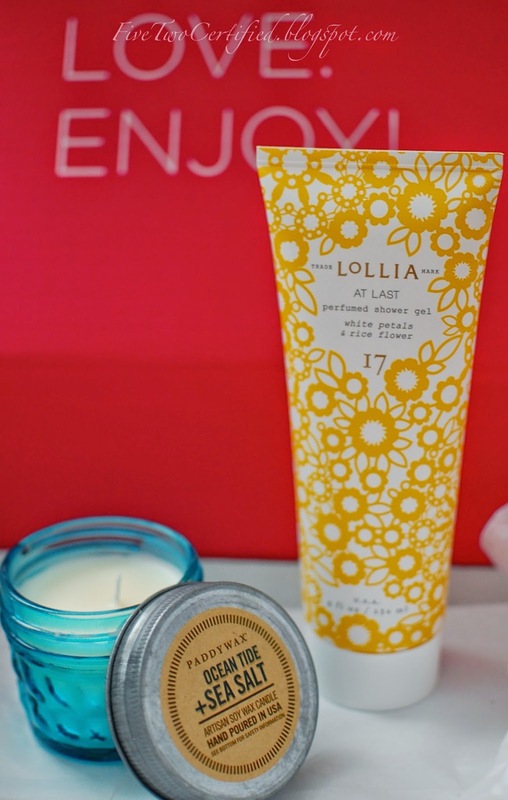 I love lighting up a candle while in the shower and this scent has that fresh-from-the-beach kind of scent. And how cute is that jar?!? I'll definitely be using this jar for something after! "...infused with shea butter and jojoba oil"
This packaging just makes me feel happy and gives my bathroom some color. This feels great on the skin and does not leave that super-dry feeling. The scent is not overpowering at all like other strong perfumed shower gels. I have seen her jewelries on magazines before but never owned one. This dropped earrings are really gorgeous and can be dressed down with a simple tee and jeans or glam it up with a cocktail dress! "To celebrate POPSUGAR Must Have's second birthday, Bite Beauty created this new shade just for the occasion." Congrats if this was your guess and how awesome is that?!? A customized lip gloss from one of my favorite beauty brands! 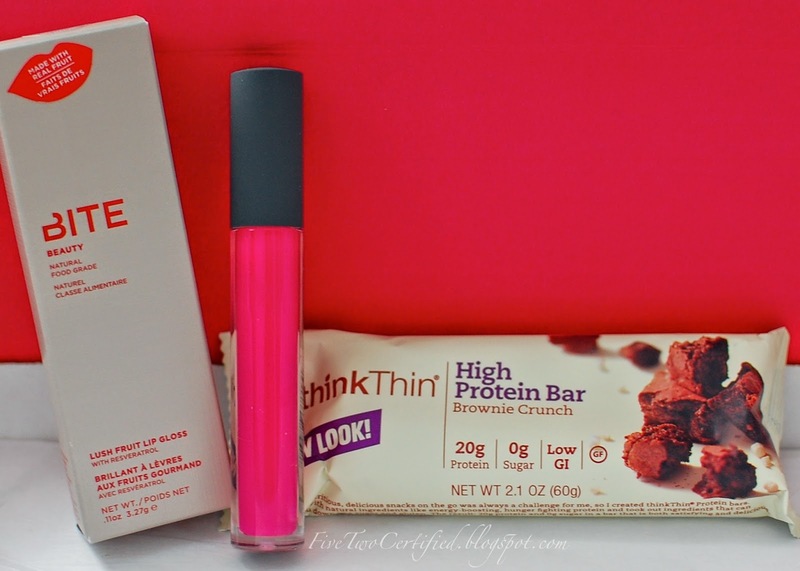 This Bite Beauty gloss is infused with strawberry, coconut, and avocado oils - all very moisturizing and great for your lips! This has definitely the signature pink shade that the POPSUGAR Must Have Boxes comes in. I love wearing this like a lip balm or layering it with my favorite lipstick. "Packed with 20 grams of protein and zero grams of sugar, they're a delicious and healthy way to fuel your day." I haven't opened this. I usually save the snack bars to keep in my purse for those days I forget to grab lunch or a snack while running around the city. 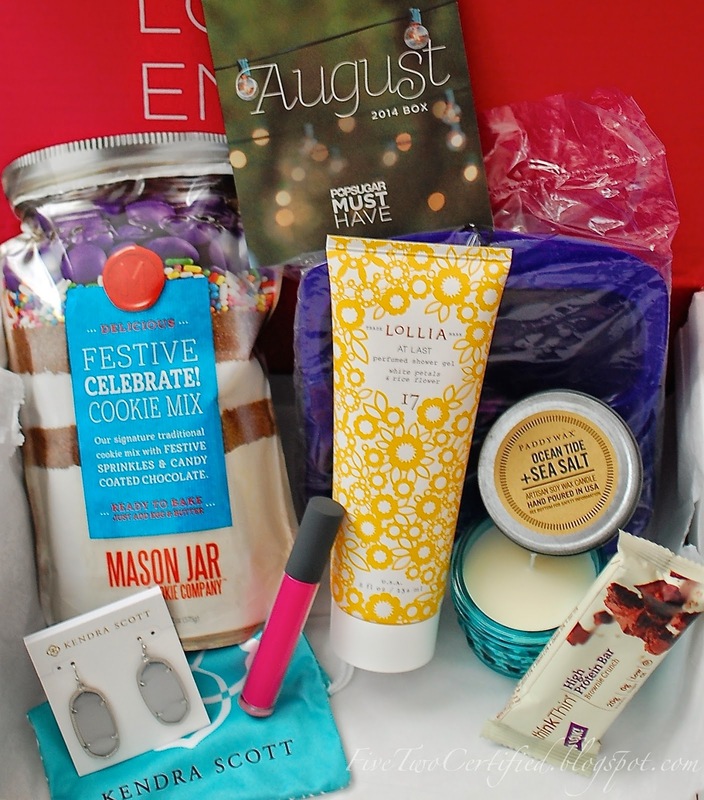 POPSUGAR Must Have Box certainly redeemed themselves from the previous box, the July Box I wrote about HERE. 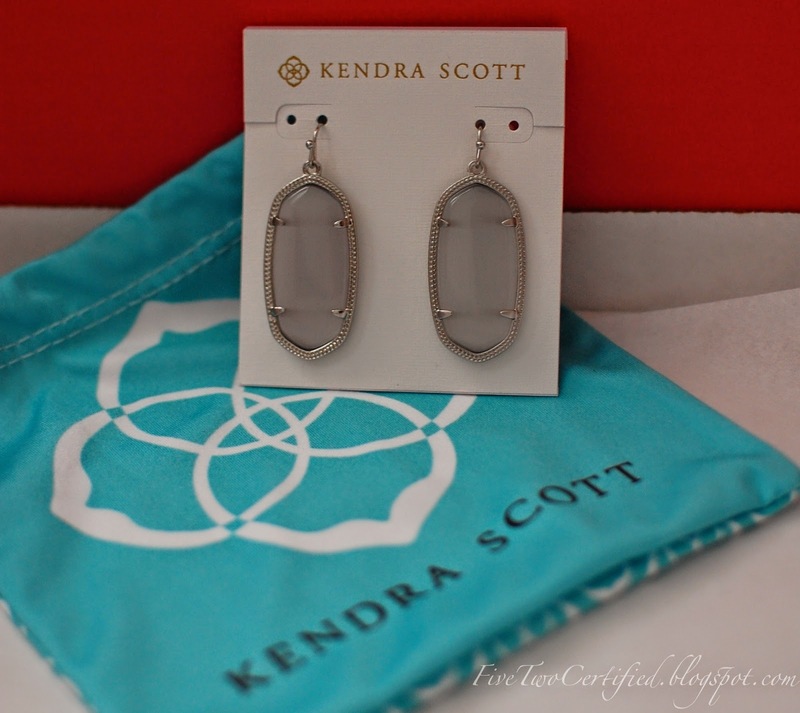 It is always a great surprise when there is a jewelry item included in here because they are usually designer brands that exceeds the price of what you paid for! Though I don't like to monetize the subscription boxes I received I always am surprise that there are many great brands that I do recognize they include that makes getting the box well worth it! POPSUGAR Must Have Box has been one of my favorite subscriptions so far, and for the past two years they never give out any teasers or sneak peek on what will be in next month's box. Surprisingly, for the month of September they have shared one item that will surely be in the box and I am so excited for this!!!! 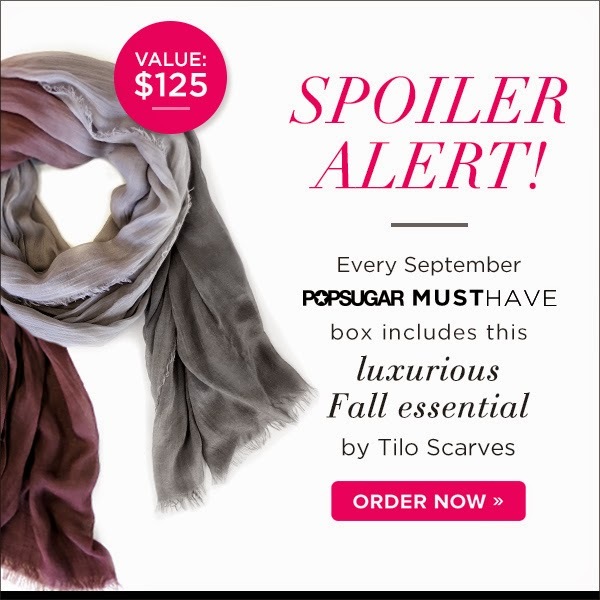 That Tilo Scarf is worth more than the box itself and besides there will be 5 more items in this box! If you are interested to join just click on the image above to sign-up! To look at my past POPSUGAR Must Have Box reviews, just go to the Subscription Box Reviews tab above.